Community involvement and leisure are rarely mentioned in mass media coverage of the Middle East and North Africa.Yet leisure and community involvement form a part of life in the region, and are becoming increasingly significant as modernization becomes pervasive. 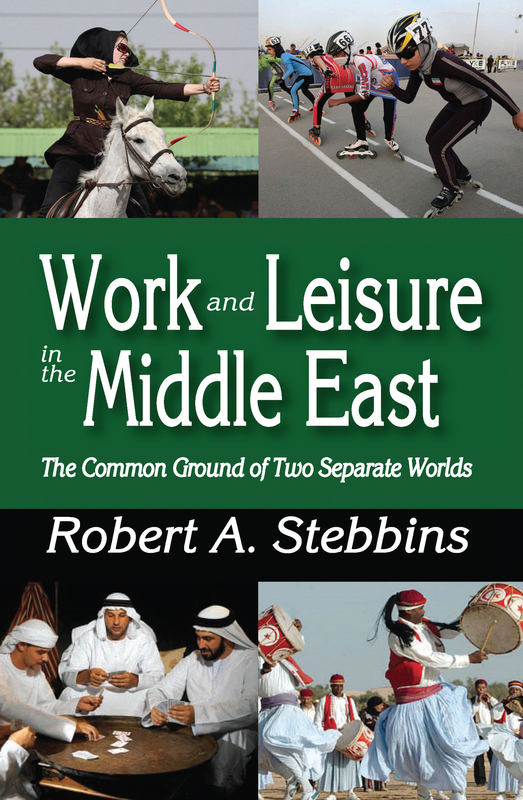 This work seeks to examine how the interconnection of work and leisure operates in a culture far removed from North American or European traditions.Robert A. Stebbins argues that the Middle East is a region in the throes of a developmental crisis, one of cultural underdevelopment. He indicates that while leisure and community involvement may be labeled as largely trivial activities, they in fact involve a nexus that crosses with the labor process. Discussing activities as diverse as theater and falconry, rotary clubs and brutal leisure�such as acts of terrorism and revolutionary violence�Stebbins offers a variety sufficient enough to confirm that cultural development through leisure, work, and community involvement has been possible.To provide the background for this argument, Stebbins explains what community involvement is, how it fosters cultural development, and offers a look at contemporary leisure and work in a changing economic climate. This is a unique look both at community involvement in the Middle East and how it has affected the cultural, political, and religious crisis. The book concludes by proposing that a new view of work and leisure may serve to override social divisions and traditional impediments to cultural development.